UBC Okanagan is hosting a public discussion exploring the major challenges and opportunities surrounding migration. When: Thursday, January 24, from 3:30 to 5:30 p.m.
Due to the inherent complexity of international migration, it is also one of the most unpredictable and uncertain population processes. According to the United Nations, roughly 3.4 per cent of the global population is foreign-born. Migration measures, even in developed countries, are subject to a very high degree of uncertainty. 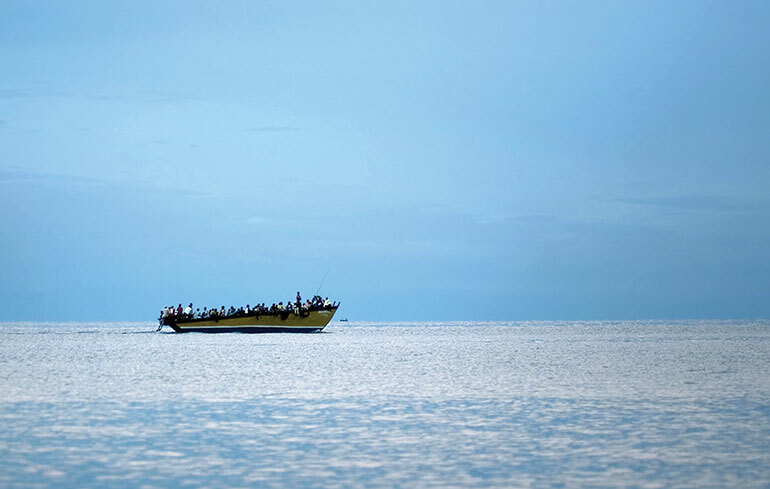 The economics, philosophy and political science department in UBC Okanagan’s Irving K. Barber School of Arts and Sciences, is hosting guest speakers who will explore some of the major challenges and opportunities surrounding migration. Those issues include decision-making and methods of measurement, as well as human rights and Canadian foreign politics. Funded by the Reichwald Visiting Speaker Series and co-sponsored by the Faculty of Creative and Critical Studies, the January 24 discussion invites students, faculty, staff and the local community to a two-hour event, starting at 3:30 p.m. in UBC Okanagan’s University Theatre, room ADM 026.